Want to meet the LPC? If you are in any of the places we are visiting and want to tell us about how you have been affected by the minimum wage, email us or call 020 7211 8772. Why do we go on visits? 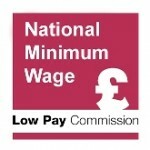 So far, the National Minimum Wage and National Living Wage have raised pay – for up to 5 million people in 2018 – while passing their main test of not causing unemployment. However, that does not mean that increases have had no other effects. This is especially true of the ambitious increases we have seen with the NLW since 2016 and is why our visits are an absolutely vital part of what we do. 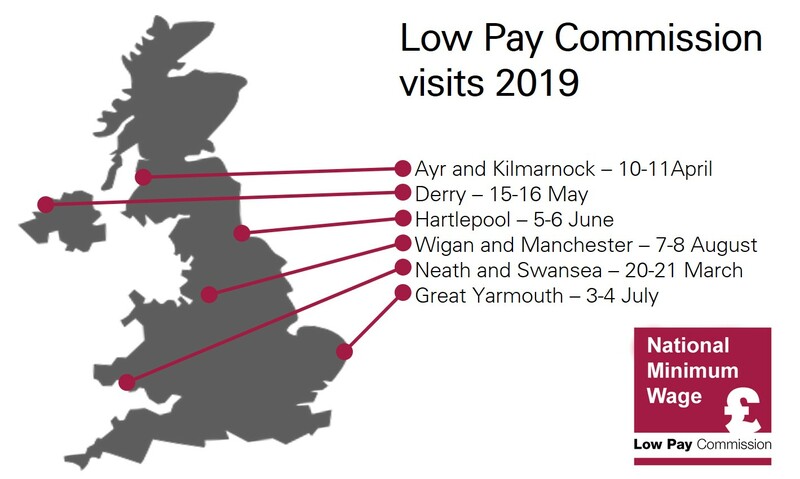 Each year the LPC visits areas around the UK, including trips to Scotland, Wales and Northern Ireland, to hear from people affected by the minimum wage. We talk to businesses and their representatives, workers, unions and public sector organisations to find out about the effects of the recommendations we make. Seeing the situation ‘on the ground’ sheds light on new issues and emerging trends. On our visits last year we heard valuable evidence from workers on pay and reward, employer behaviour and life on low pay more broadly. On differentials, and competitiveness effects including on prices, profits and productivity, our visits to employers have been very enlightening. Talking face to face brings our analysis of these issues to life. The LPC’s Commissioners regularly write about how important it is to see the significance of their decisions for working people and their employers. We are very grateful to everyone we met for sharing their experiences and thoughts with us. We will be making our recommendations in the autumn and the discussions in Newry have enhanced our evidence base and will feed into our decision-making. This year we are revisiting areas where we have not been for several years ago (Derry and Swansea), so will be looking to see how the NLW has changed the situation for workers and businesses, considering the number of people paid the minimum wage rose by over half when it was introduced in 2016. The other visits, to Ayr and Kilmarnock, Wigan and Manchester, Hartlepool and Great Yarmouth were chosen because of the make-up of the labour market and industries in those areas. The LPC takes very seriously what we hear on all our visits, so it is a chance for anyone with an interest to have their voice heard. Get in touch with us if you would like to meet our Commissioners. As a former chairman of a Union branch with some 300 members I have been involved in personnel aspects. As a manager in large organisations and now running a high street retail business I have now experienced it all from different perspectives. Personnel costs, now including pensions, have become my number one problem as I cannot hold or reduce these costs without cutting my own drawings or reducing staff/staff hours both of which I am now doing. You may say the NMW has had little effect but frankly I do not believe it and I am aware of the cash economy being utilised to circumvent it and were I not a professional accountant I would be following suit!